A pure non-toxic oil that is completely free from solvent. Good penetration into all types of timber without leaving a film and its special properties make it highly resistant to water, alcohol and food stuffs. Approx coverage 13m2 per litre. 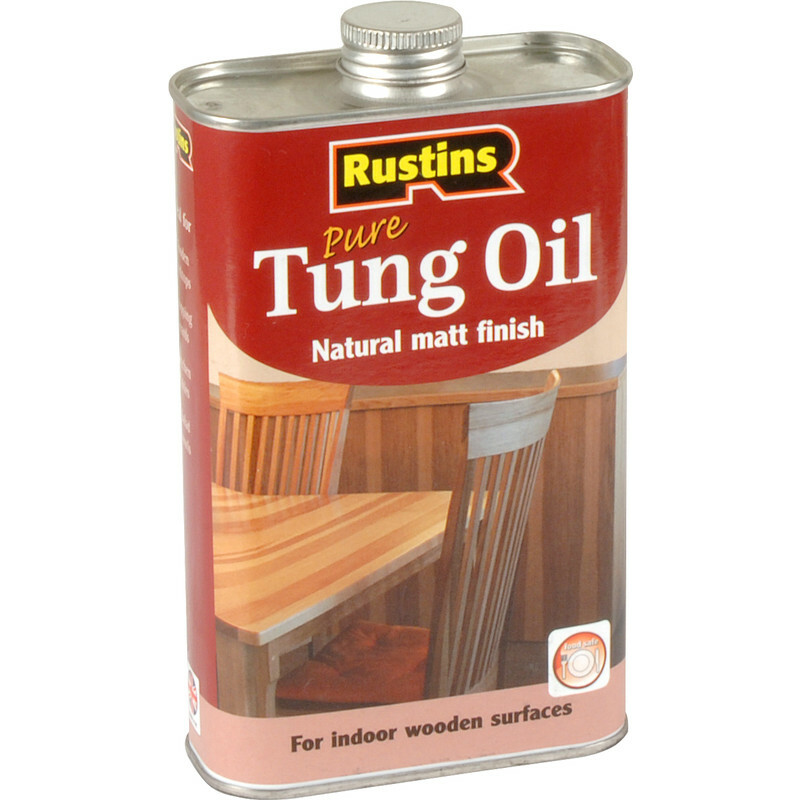 Rustins Pure Tung Oil 500ml is rated 4.2 out of 5 by 6. Rated 2 out of 5 by chrisipj1 from Rustins Tung Oil Bought to renew coating on work top. Applied as usual, very thick like treacle diluted 20%, applied as normal friday and 5 days later still wet and not drying at all. Gave up washed off and used Liberon, dried in 24 hours. Rated 3 out of 5 by drsr from Bad cataloge and web site discription It reads as this is just what you want for your floor, but on the tin it tells you that its not to be used on flooring, pity the catalog or the web site said this, it would have saved me 2 journeys, 1 when I got it and1 when I took it back. Rated 5 out of 5 by Nonenoneused from Easy to apply Does as the tin says! Good product.